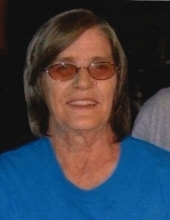 Sarah E. Day, 76 of Keavy, passed away Sunday, September 30th, at the St. Joseph London Hospital. She was the widow of Donnell Day who preceded her in death on February 25, 2014. Sarah was born in Leslie County, Kentucky on August 2, 1942, a daughter of the late Claude and Mary (Roberts) Begley. She was a member of West Corbin Church of Christ. Visitation will be after 6:00 PM on Tuesday, October 2, 2018 at Dorthea Pentecostal Church. To send flowers or a remembrance gift to the family of Sarah Elizabeth Day, please visit our Tribute Store. "Email Address" would like to share the life celebration of Sarah Elizabeth Day. Click on the "link" to go to share a favorite memory or leave a condolence message for the family.